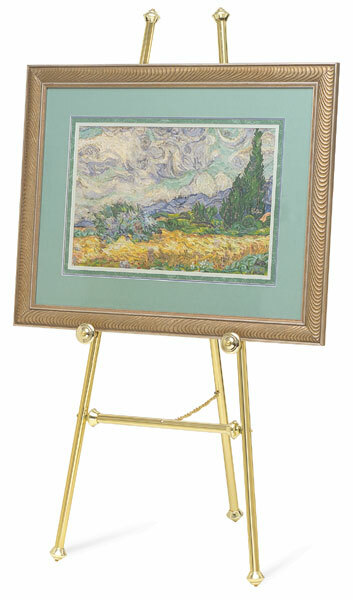 Adds elegance to paintings, signs, and posters in public settings. Stands 60" tall. Folds flat. 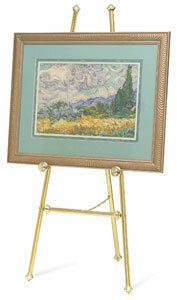 Holds items up to 2-1/2" thick. Posts are pre-set at 25" from floor. Made of 1" steel tubing. Brass-tone or black models.